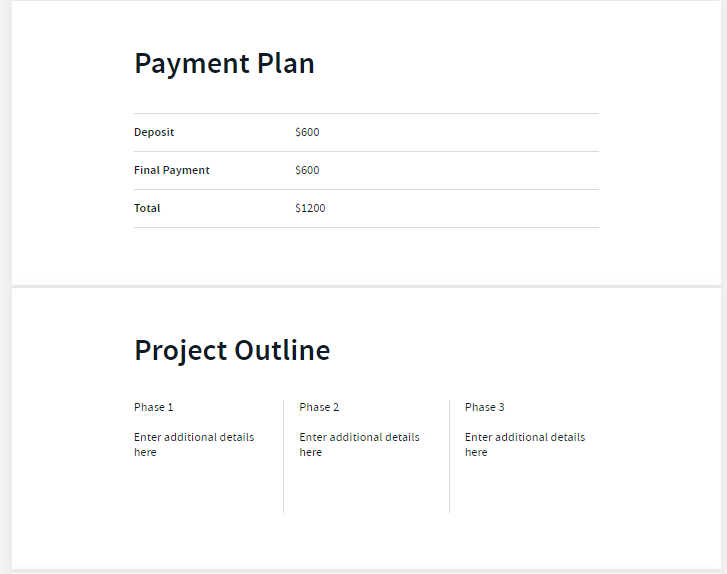 How Can I Add Project Details Like Text, Images, Tables, Columns & Attach Files to My Proposal? 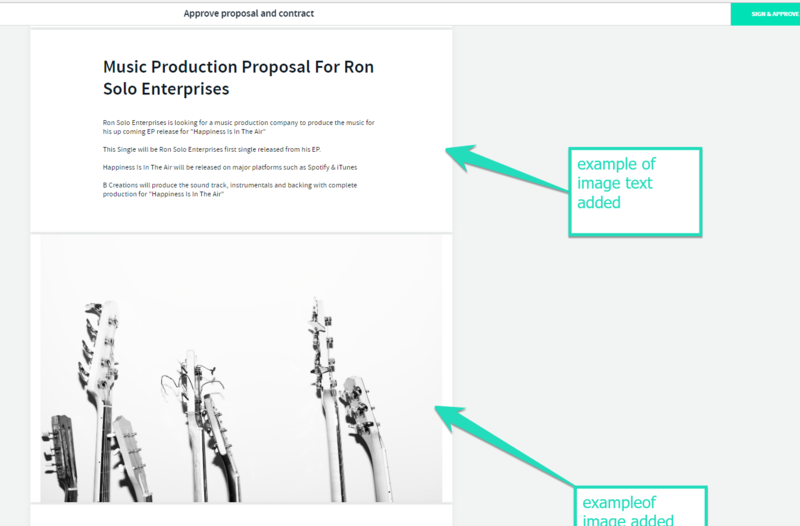 With AND CO you can seamlessly add your specific project details like text, images, columns, tables and attachments via the proposal. 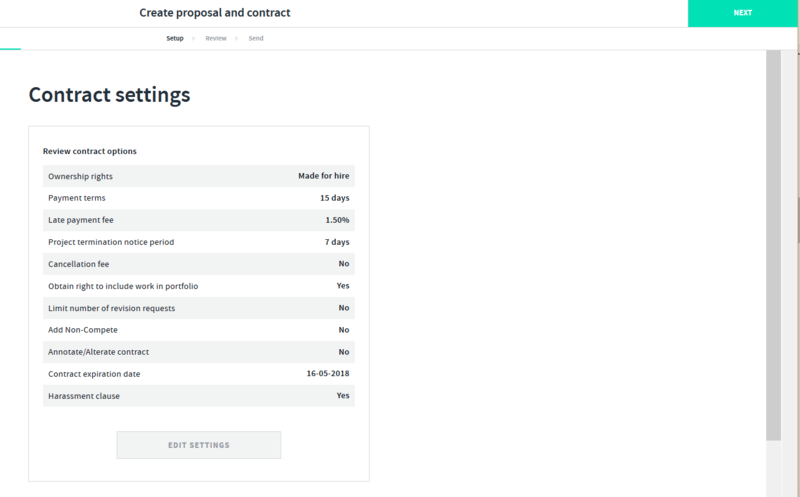 Simply select the proposal and view in edit/review mode if you have already created the proposal. Follow the prompts to create your proposal and contract. Set up any contract settings if required and select next. 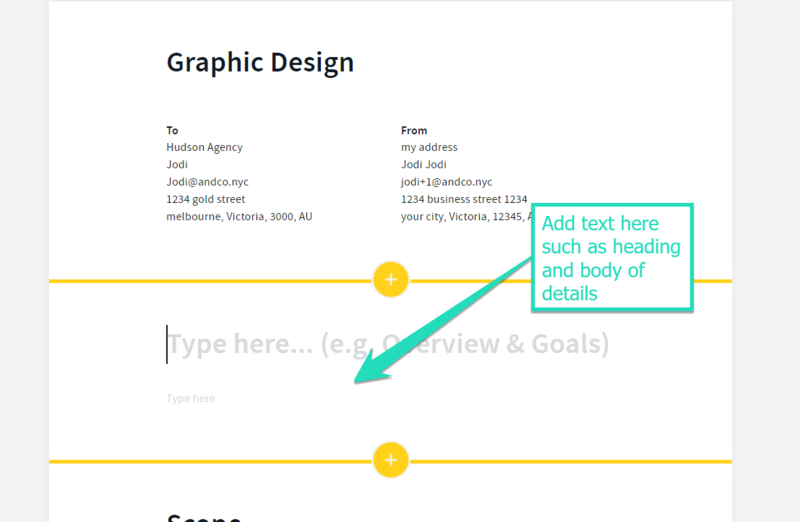 Once you select text you will see a field for you to enter in a heading as well as the body of the text field. Add as much or as little detail here. 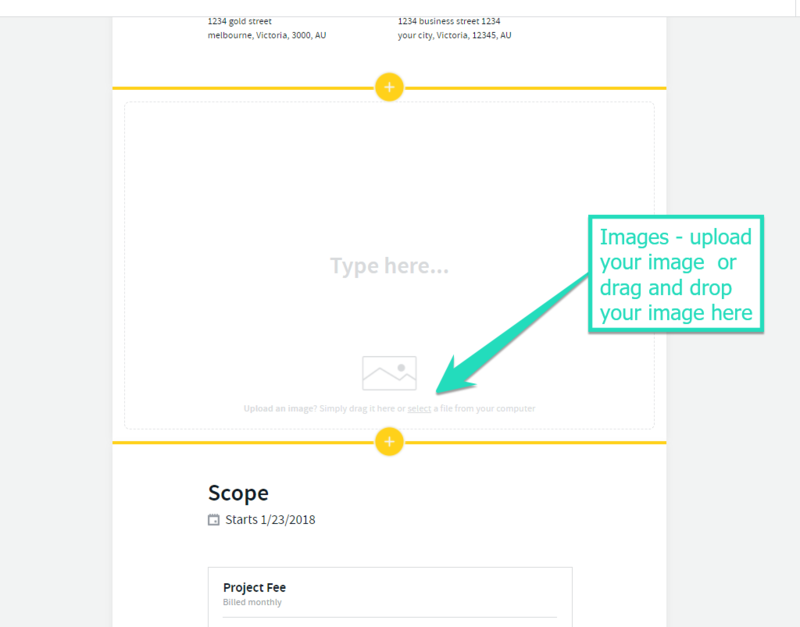 To add images, select the image option and drag/drop your image or upload your file. 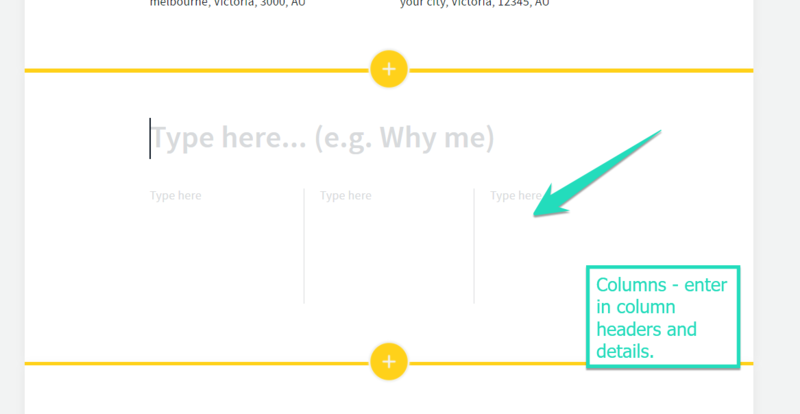 To Add in a Table select > Table and enter in the details of your table as well as a heading. Select the Files option to upload and attach your files/documents. Once you have added your additional details to the proposal you can then save it as a draft or continue to send it to your client for approval. 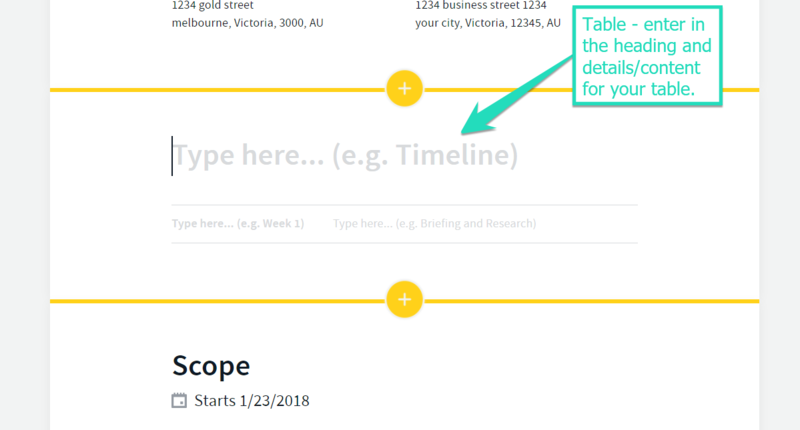 Example of a sent proposal/contract where your client will view the additional tables and columns added. Once created you can view the proposal via the proposals tab in the app. Once sent to your client, they will receive a email with a link to "review the proposal" online which they can then sign and approve the proposal. Once signed and approved by your client a project is created in the app and you can access the project via the projects tab. Once your proposal is viewed/approved online you will receive a email confirmation as well as a in app notification.